Bronchiolitis; airway infection that causes inflammation and small airway obstruction in the lungs. Generally experienced by the Little One of two years old age and under. Pertussis; whooping cough is characterized by a severe cough accompanied by high-pitched breathing sounds. Get to know the danger signs of coughing on the Little One who is still a baby by counting his/her breath when he coughs for 60 seconds. For the Little One whose age is less than 2 months, the limit of his/her respiratory rate is 60 times per minute. While for the Little One aged 2-11 months, the limit is 50 times per minute. Whereas the Little One aged 1-5 years, should not exceed 40 times per minute. Calculate this breathing movement when your Little One is sleeping and do it three times a day, morning, afternoon and night. Well, now Mommy can be aware of the danger signs when your Little One coughs. Early detection is very important so that your Little One is not late to be managed. When coughing does not stop, the symptoms above appear, and rapid breathing movements exceed the maximum limit for his/her, do not delay taking your child to the doctor. The first one thousand days of life of the child, which is the time span between conception until the second birthday of the child, is a very important period in the formation of the foundation for health, growth, and development of the nerves. Almost every parent has experienced a child’s whining. You surely agree that it is a bad habit. This habit generally happens during the fourth year of your children’s life. 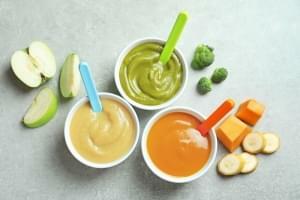 Should Your Little One Consume Organic Food? Now, in supermarkets, there is an increase of rampant variety of organic food products. This is because our society is concerned about the dangers of pesticides that may be contained in food.